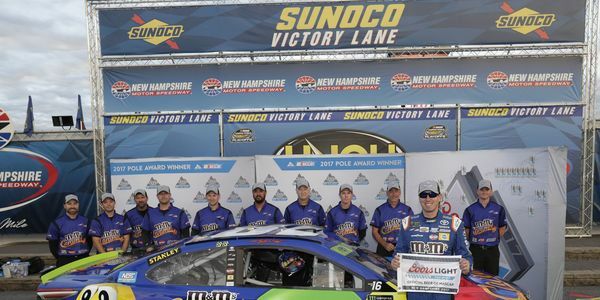 Kyle Busch, the winningest driver in the history of New Hampshire Motor Speedway, is in a great position to make it an even dozen for his career. The 2015 Monster Energy NASCAR Cup Series champion took the pole in Friday's qualifying and will start on the front row in Sunday's ISM Connect 300, the second playoff race in the opening Round of 16. It was the second straight pole for Busch, who started up front last week at Chicagoland and finished 15th, and the eighth overall this season. 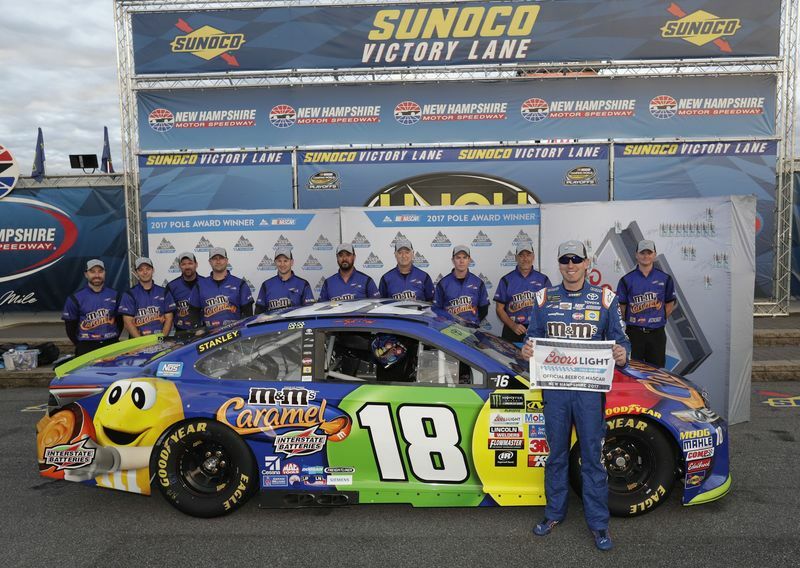 Busch has won 11 total races at NHMS - Cup Series (two), XFINITY Series (six), Camping World Truck Series (three) - and is coming off a seventh-place finish in the July Overton's 301. "Feels pretty good to capitalize on another good Friday. We just need to figure out how to turn these into good Sundays," said Busch, who now has 27 poles in 454 Cup Series starts. "This is a good place for us. The weather is going to be warmer, more like a July race, and we typically run better in July than we do in September so hopefully that bodes well for us." Kyle Larson, Denny Hamlin, Ryan Blaney and Martin Truex Jr. round out the top-five qualifiers. Larson will start where he finished in July, in the second position. "I knew we'd have a good shot at the pole in the final round, but overall I thought I hit my lap pretty good - Kyle (Busch) was just quite a bit faster than us throughout qualifying," said Larson, who took the pole in July, but was shuffled to the back of the field after failing post-qualifying inspection. "I had to come from the back and pass a lot of cars earlier this year, so hopefully we can hold our track position throughout the race on Sunday." Hamlin will try to become the first driver to complete a season sweep since Jimmie Johnson won both races in 2003. The top-five includes all drivers that have qualified for the Monster Energy NASCAR Cup Series Playoffs. The remaining 11 playoff contenders qualified as follows: Kevin Harvick (sixth), Kurt Busch (seventh), Kasey Kahne (ninth), Matt Kenseth (10th), Jamie McMurray (11th), Jimmie Johnson (12th), Brad Keselowski (13th), Chase Elliott (14th), Austin Dillon (17th), Ryan Newman (18th), and Ricky Stenhouse Jr. (24th). Hendrick teammates Johnson, the reigning Cup Series champion, and Elliott both had to go to backup cars after wrecking in the first practice of the day on Friday. Rookie Erik Jones was the lone non-playoff pilot that qualified inside the top-10. He will start eighth on Sunday. Ryan Newman will start 18th in Sunday's Monster Energy NASCAR Cup Series ISM Connect 300, but will start from the front row in Saturday's F.W. Webb 100. Newman took the pole in Friday's qualifying session, finishing with the fastest lap at 28.592 seconds (131.556 mph). Newman has more poles at NHMS than any other driver in history. His Whelen Modified Tour pole was the sixth of his career, giving him 13 total with the seven he's earned in the Monster Energy NASCAR Cup Series. Rowan Pennink, Donny Lia, Timmy Solomito, and Patrick Emerling round out the top-five qualifiers.